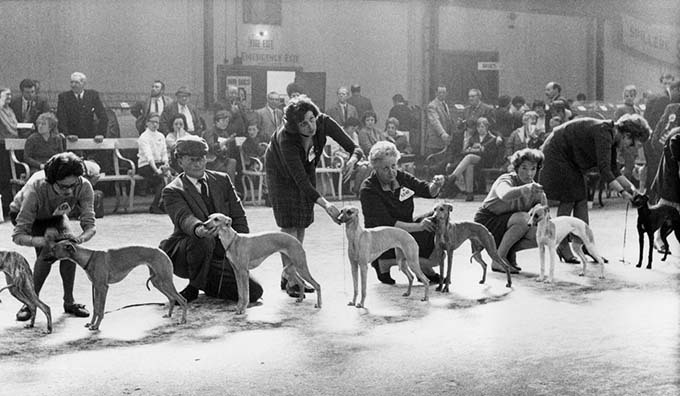 Dedicated to rediscovering the best photographs taken in Britain during the late 20th century, the Vintage Britain series by indie publisher Hoxton Mini Press has released its third instalment: Dog Show 1961-1978. 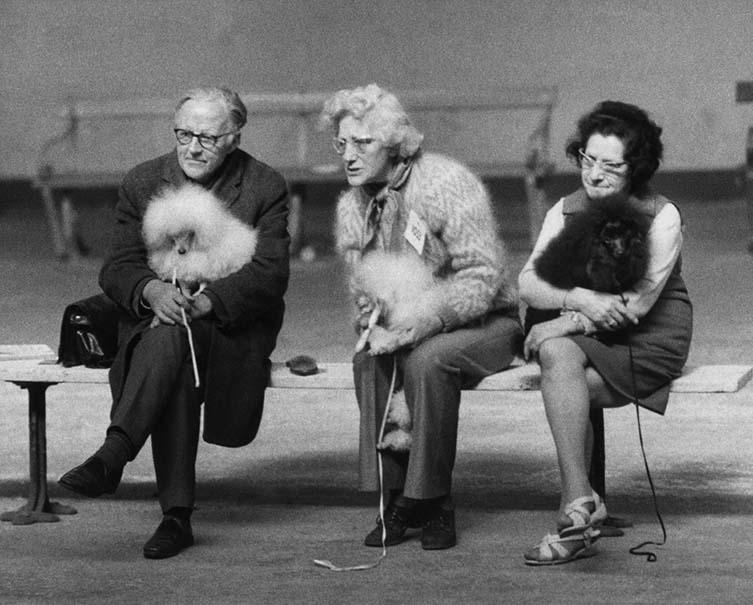 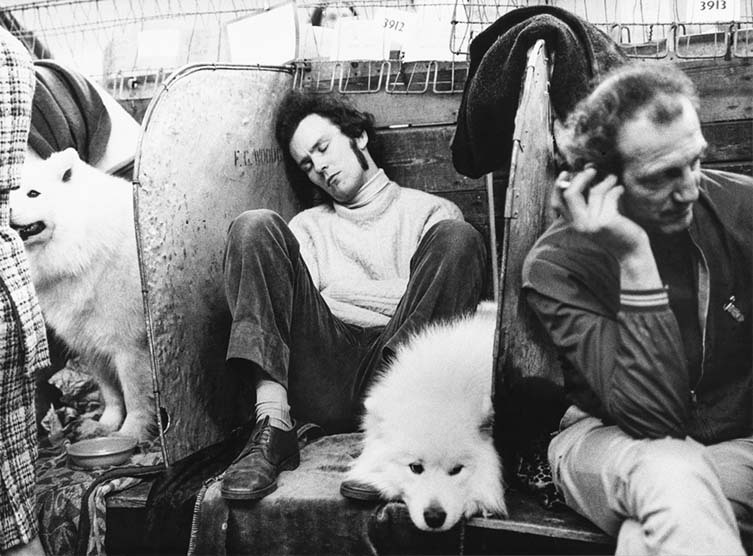 Documenting a time when the hairdos of the owners were more coiffed than the groomed canines, the 80-page hardback captures the eccentric relationship between human and dog at this most quintessential of British events snapped—largely at Manchester Dog Show—by photographer Shirley Baker (1932—2014); the renowned street photographer whose portfolio of images of working class Manchester during the 1960s and ’70s have been exhibited worldwide. 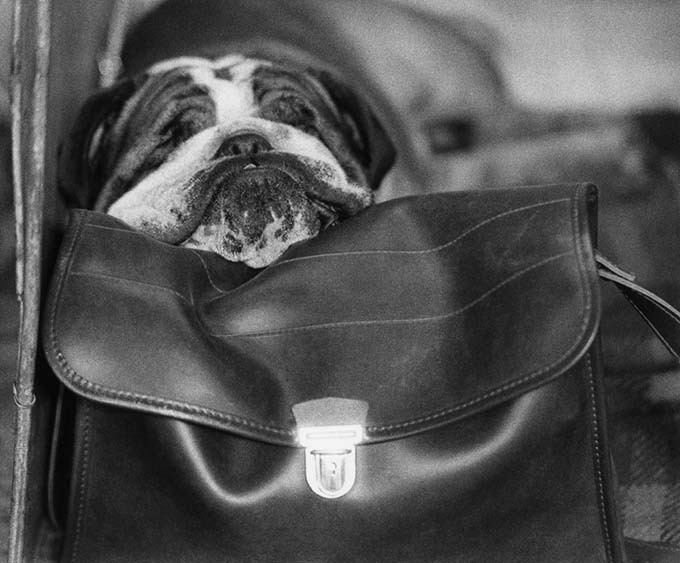 In this uplifting series, Baker offers an insightful portrait of the enchanting, humorous, and often obsessive relationship between man and dog. 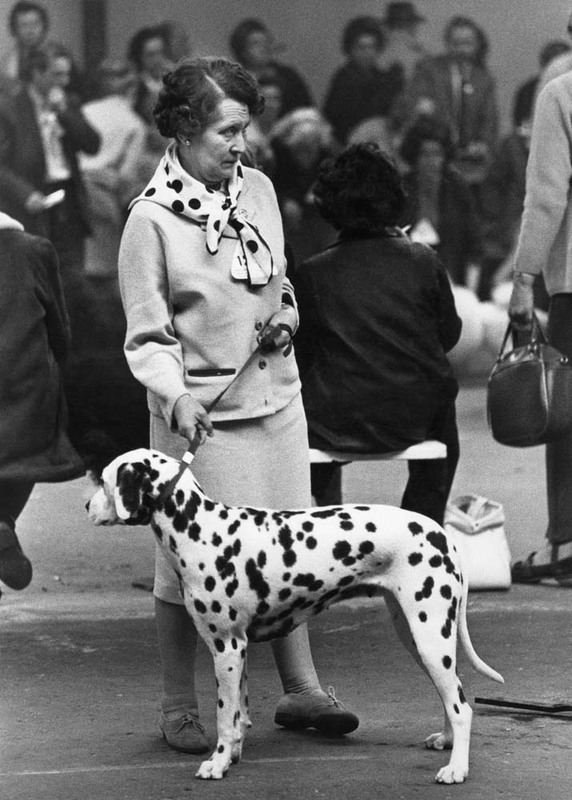 From behind the scenes to preening and performing for the judges, this collection of black and white photography documents familiar breeds occupying a very different time; ranging from the flat-faced bulldogs to poodles, terriers, spaniels, pekingese, and imposing Great Danes. 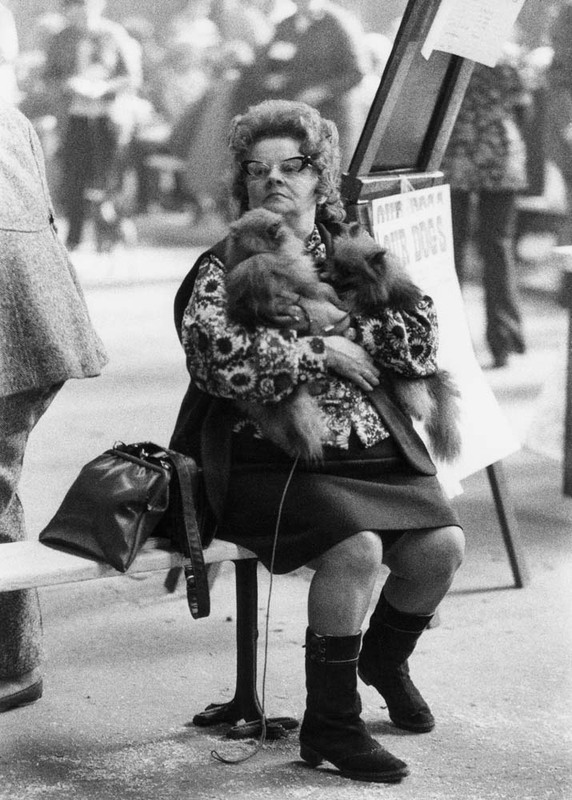 Each candid image highlights this curious phenomena in all of its glory. 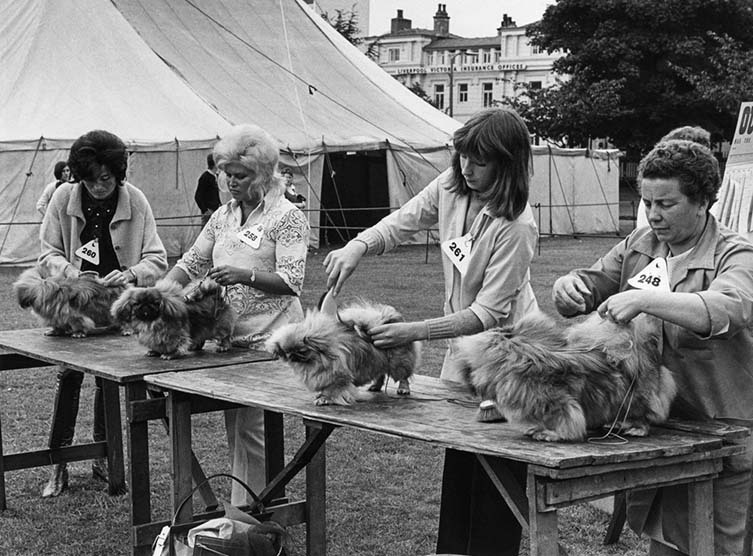 With an introduction by Lucinda Gosling of Mary Evans Picture Library—where Baker’s archive is now stored—Dog Show 1961-1978 is available now from the consistently brilliant Hoxton Mini Press. 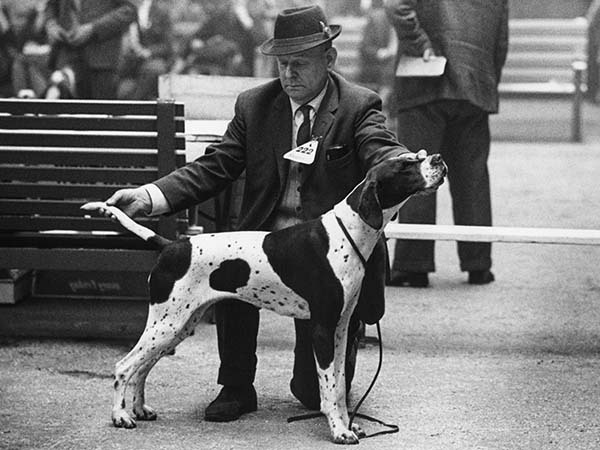 Dog Show 1961-1978 by Shirley Baker is published by Hoxton Mini Press. 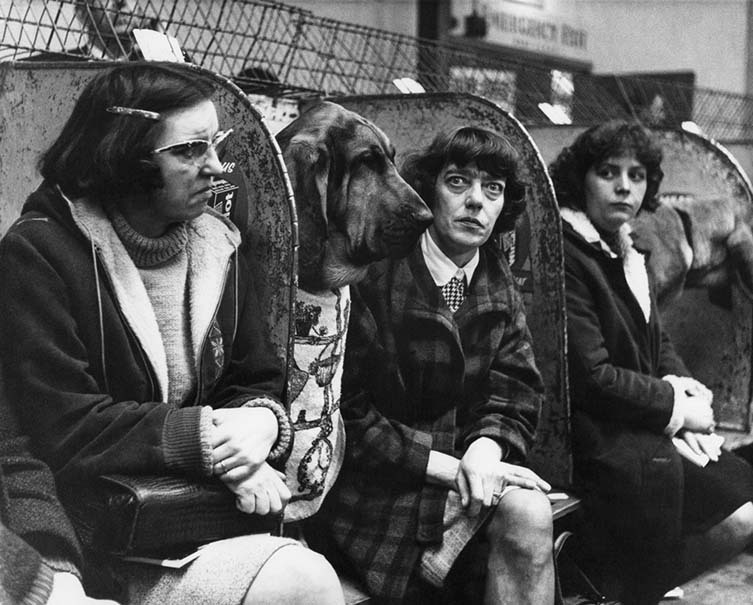 © Estate of Shirley Baker/Mary Evans Picture Library.